URLJet Review 2019: Is URLJet a Good Hosting? URLJet is an experienced hosting company that specializes in vBulletin hosting but also offers XenForo and WordPress hosting. Although the plans are pricey, these are not your usual shared hosting plans. U.S.-based URLJet started out in 2003. Although it specializes in shared, VPS, and dedicated server vBulletin hosting plans, it also offers XenForo and WordPress hosting plans plus other services. URLJet’s main website is in English, but its knowledge base can be switched into many more languages. All packages come with the Softaculous app installer, and you can use either cPanel or Plesk to manage your website and hosting. You also get hourly backups to keep your website data safe, plus the Cloudflare CDN to boost your website’s loading speeds and security. URLJet offers three vBulletin shared hosting plans – Pro, Gold, and Platinum – which vary mainly in terms of disk space and bandwidth. 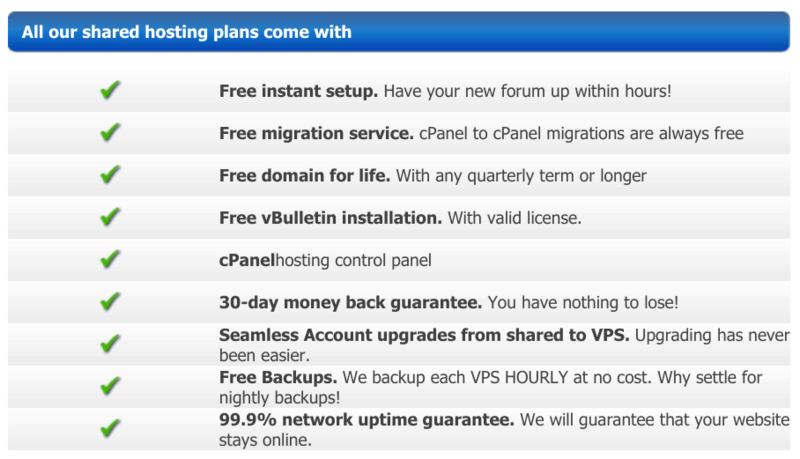 These plans are pretty expensive compared with regular shared hosting plans. You can pay by PayPal or credit card, and you get a 30-day money-back guarantee when you register. Besides live chat, you can also summon support by email or telephone, or by submitting a ticket. Although URLJet’s hosting plans are pricey, these are not your usual shared hosting plans, so they may be worth the cost if this is the kind of hosting you’re specifically looking for. Get jet-powered vBulletin hosting at URLJet! Wondering how URLJet stacks up against other Web Hosting companies? Enter any other Web Hosting company and we will give you a side-by-side comparison.